Transition Bath has been awarded a £3,400 grant from the BWCE Community Fund for a feasibility study for an electric bike project. 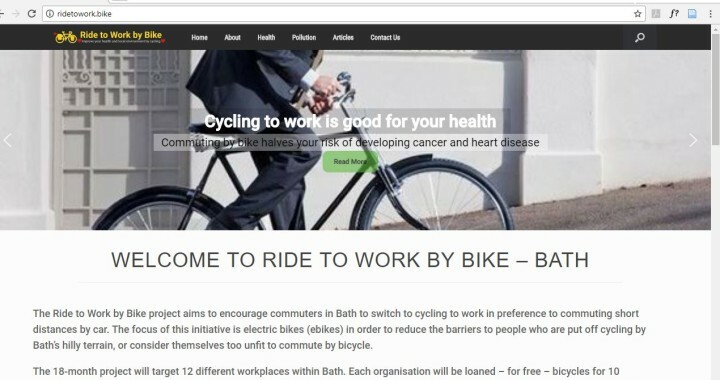 The new project aims to encourage commuters in Bath to switch to cycling to work in preference to commuting short distances by car. The focus of this initiative is electric bikes (ebikes) in order to reduce the barriers to people who are put off cycling by Bath’s hilly terrain, or consider themselves too unfit to commute by bicycle. We will be documenting our findings as we go along on our new website www.ridetowork.bike where more information can be found on the project. Posted in Electric Bike, Transport.